OctPoWriMo 2018: Poetry is.... a collaborative poem-in-the-works with five days to go until OctPoWriMo begins! 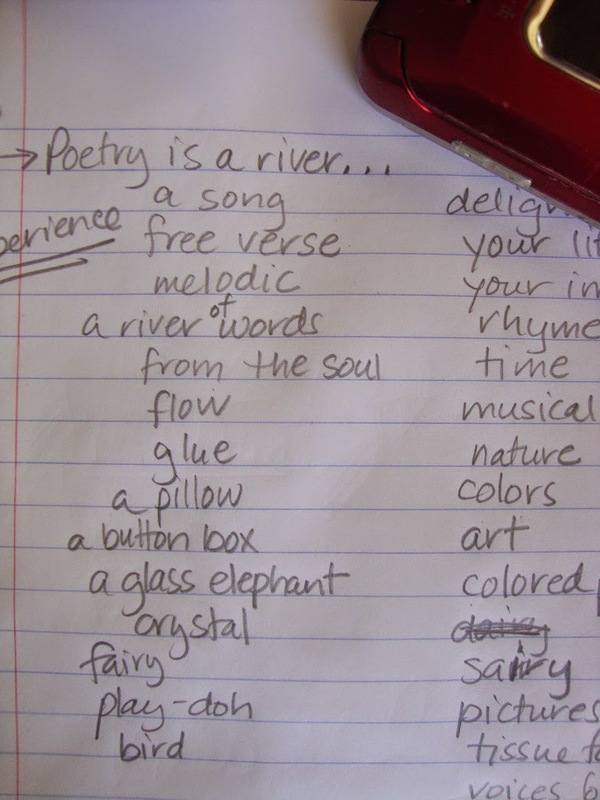 Poetry is.... a collaborative poem-in-the-works with five days to go until OctPoWriMo begins! In yesterday’s blogpost here at OctPoWriMo, MorganDragonwillow wrote brilliantly about how to write 31 poems in 31 days. Pure. Simple. Direct and heartfelt, her wisdom flowed off the page. Today, five days from the beginning of OctPoWriMo, I thought it would be fun to dabble in some collaborative curiosity and actually write a poem about what poetry is right here in the comments section. Poetry is a moment in time, held, for as long as you want to - and shared with the world when you hit publish or post or send it off to be bound or made into a greeting card or post it on a coffee shop bulletin board. Poetry is not a competitive sport, a task on the to-do list, an assignment you forgot to finish for the class you need to graduate. Poetry is an opportunity to finish what you started. Count Down: 5 Days until OctPoWriMo! Time is going by quickly, are you ready for this poetry challenge, will you be sharing your poetry on your blog? Make sure if you are on Twitter that you share your poem posts with the hashtag #OctPoWriMo so that other participants can find you. You can also share and chat with us on Facebook in our Writing Poetry Group. Make sure you sign up to receive our updates, tips and prompts to share in the poetry adventure! Labels: how to write poetry, Poetry is..
Poetry is life, a window on memory, a compulsion to create, a ball of dancing words, a means of communication. Snap snap snap snap snap.... yes! Snap snap snap honk honkety honk of the geese. Love the vividness this evokes in me. THANK YOU! Poetry is . . . the small breath as you make a wish on a fallen eyelash, a sliver in your skin that wells one fat drop of blood, the slow thump at your temple when you sit, eyes closed, and breathe words. Poetry is... playing with your words until you breathe life into them. Poetry is... a few more words after it feels like there is no breath left. Poetry is... my grandson, playing behind me, ten minutes at the keyboard at the most. Poetry is.... a fifty year old children's chair still rocking, still singing, still giving joy. Anyone else care to add a line of poetry here? This thread won't close - and each of your words, and your presence, is gratefully received. Big happy poetic kisses and hugs + word-love! Poetry is the wind whispering in tree's leavings, brushing kisses on faces of drooping lilies and dancing with my soul. Poetry is my son's laughter high pitched and pregnant with joy. Poetry is sand in my eye while staring directly into the evening light. Poetry is inhaling smells from this ole house made mine by a few complicated signature lines. Poetry is because I am.